New 40mm & 44mm sizes (up form 38mm and 42mm). 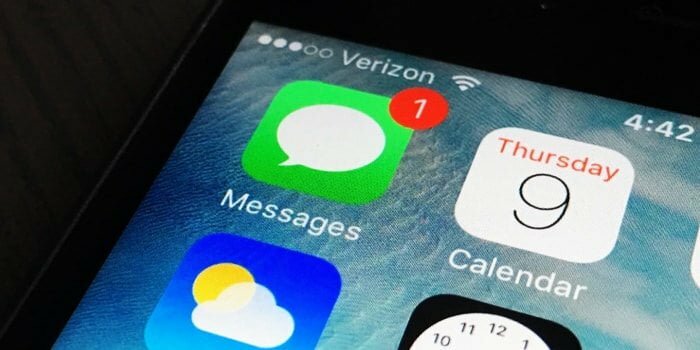 Over 30% larger edge to edge display. New speaker that is 50% louder. Relocated microphone to reduce for better call quality. Digital crown now includes haptic feedback. Two times faster S4 chip with a custom 64-bit dual-core processor. 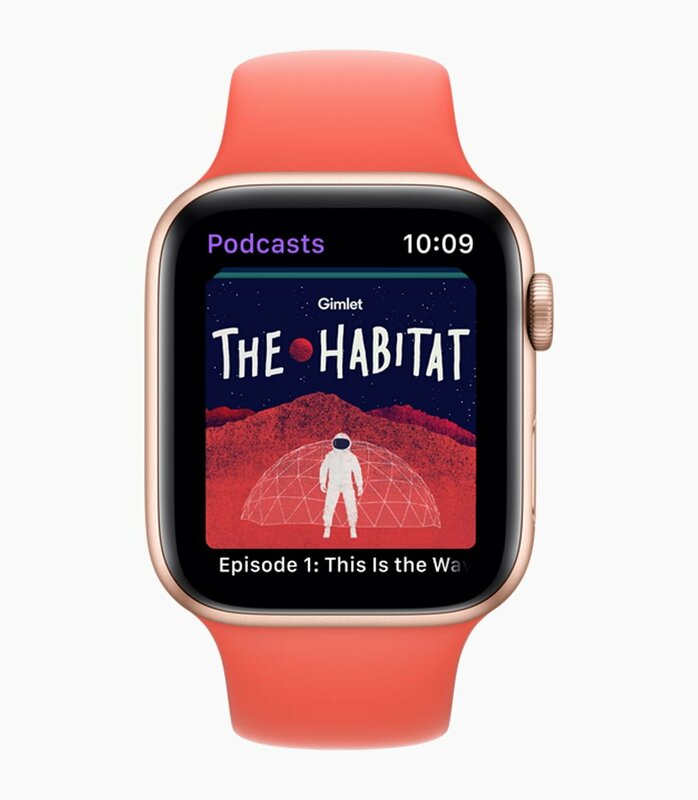 Ships with new watchOS 5 which is optimised for the larger display. 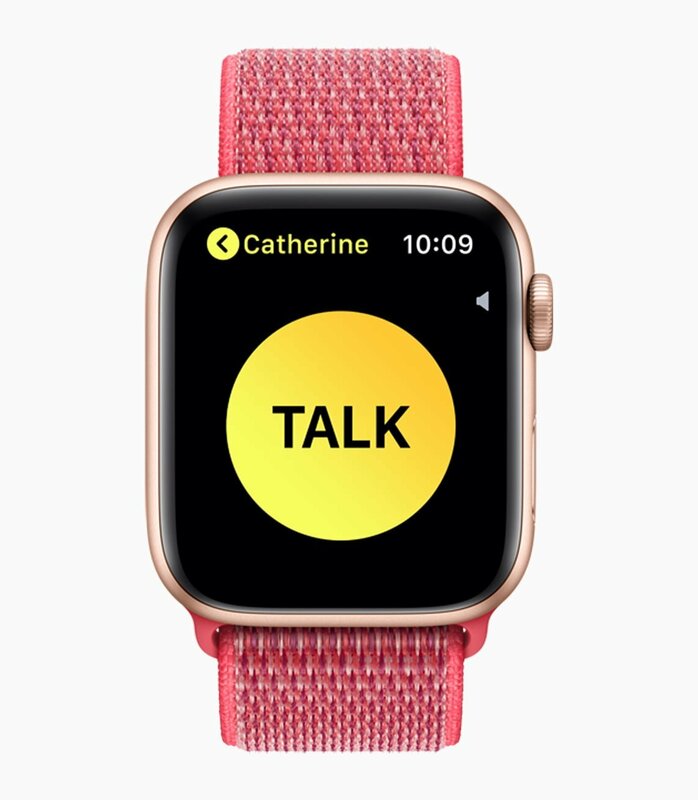 watchOS 5 includes the new Walkie Talkie app. The back is in a new black ceramic and sapphire crystal. New electrocardiogram (ECG) app & sensors (not available in Australia at launch). 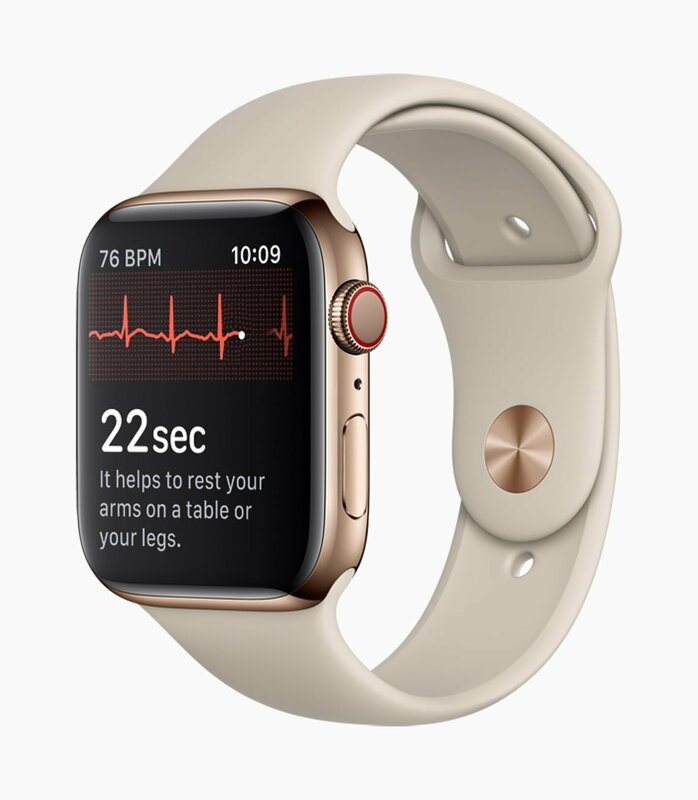 Can now warn if the heart is not beating in a normal pattern or when there are signs of Atrial Fibrillation (AFib) (not available in Australia at launch). Fall detections including SOS notifications. 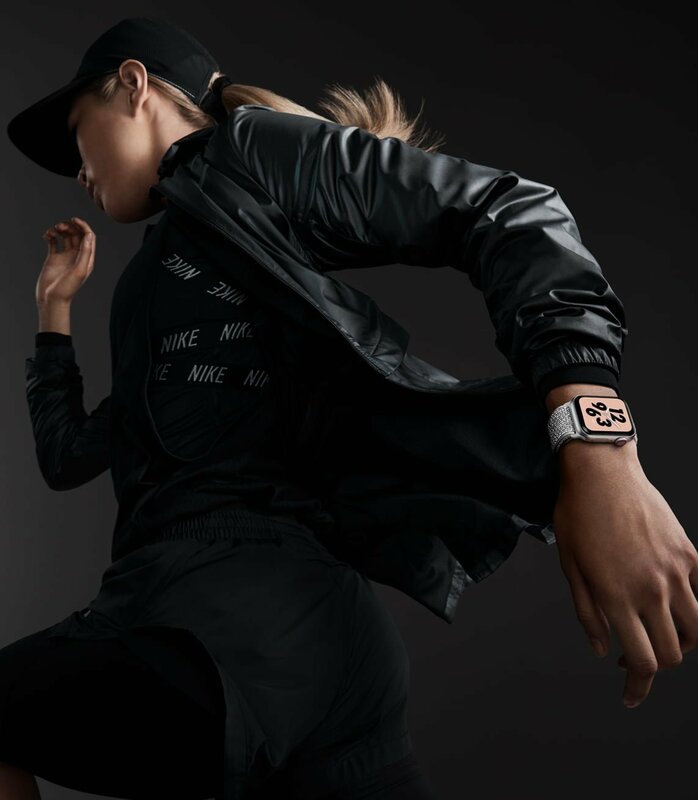 New motion watch faces Vapor, Liquid Metal, Fire and Water. 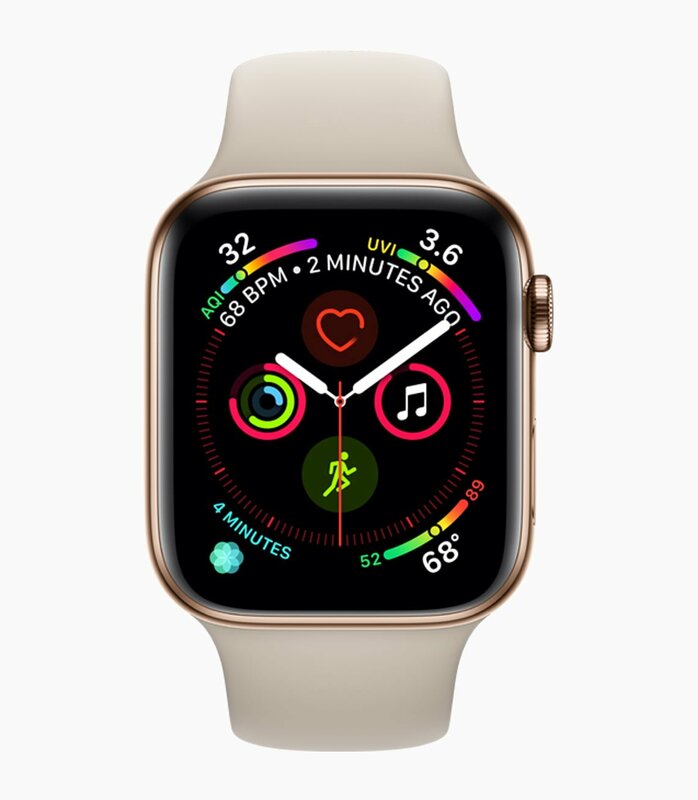 Updated watch faces and complications to take advantage of larger display. It is available to order on Friday, September 14th and launched on Friday, September 21. 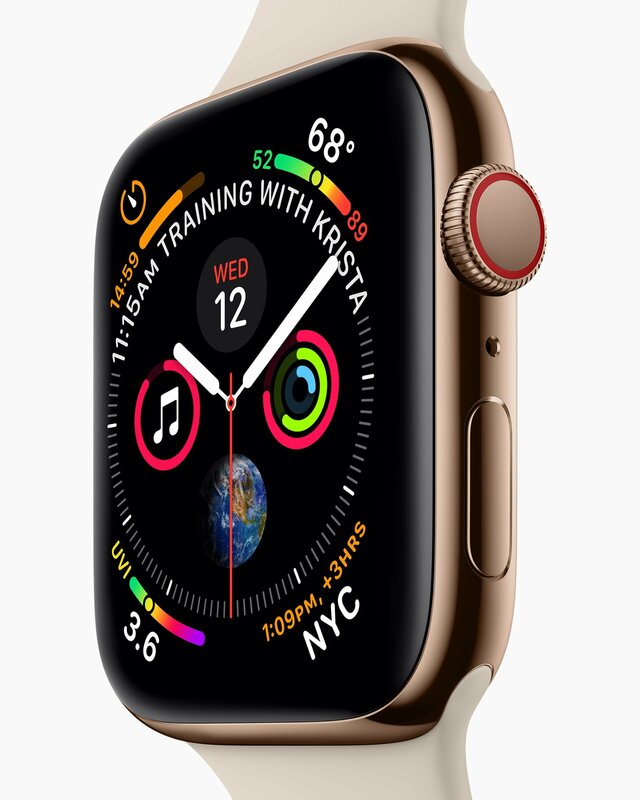 Apple Watch Series 4 (GPS) starts at AU$599 and Apple Watch Series 4 (GPS + Cellular) starts at AU$749, both featuring the updated design and new health features. 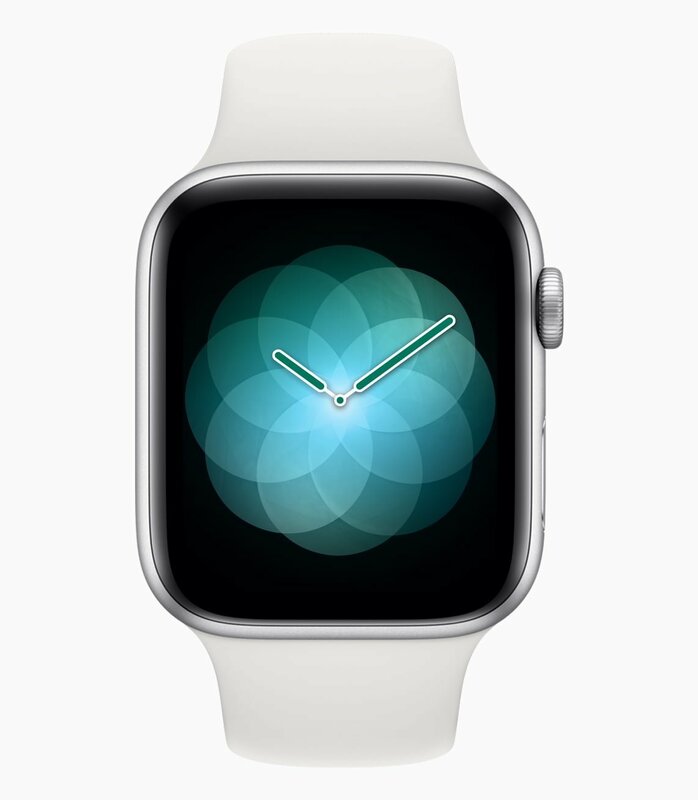 Series 3 will be available at the new starting price of AU$399, making it even more accessible to customers.